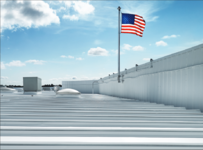 As a building owner or property management company it’s in your interest to become informed on the many roofing system options that are available. A.M. Painting is proud to offer one of the best options for you. 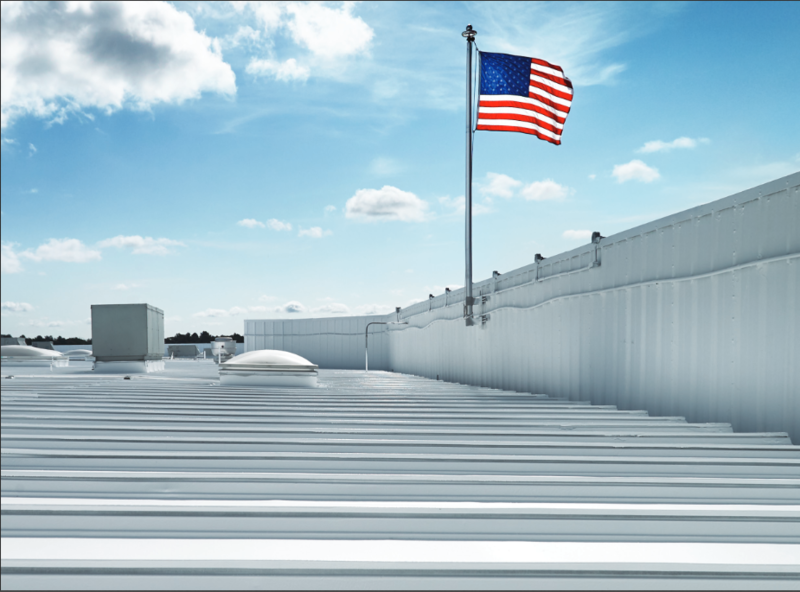 A silicone roof coating system provides several benefits that bear consideration. Silicone roof coatings are sprayed applied and seamless. No seams mean NO leaks. Extreme resistance to ponding water. Silicone roof coating is impermeable. Ease of application. 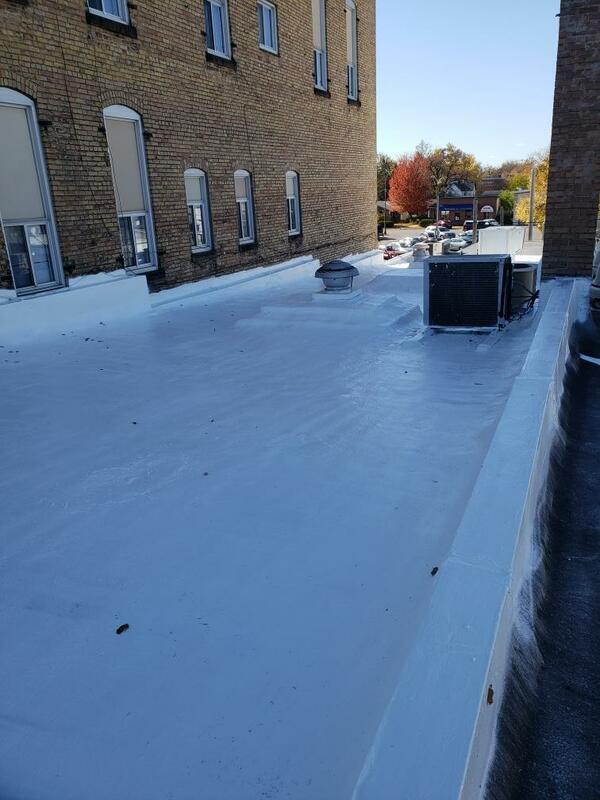 No tear off, faster than other roofing systems; Silicone roof coatings can be applied to any existing sound flat roof system. Up to 20-year warranty depending on mil thickness. Energy Star rated. Silicone is extremely energy efficient; keeping your roof as much as 20-30 degrees cooler on hot days. High tax benefits. 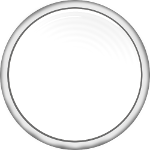 Applications are considered a maintenance item and therefore do not need be amortized over the life of the product. Instead the entire cost can be deducted in the first year. There are even more benefits to silicone roof coating systems than listed above. So, if you have a flat roof in Elk River or Elko. 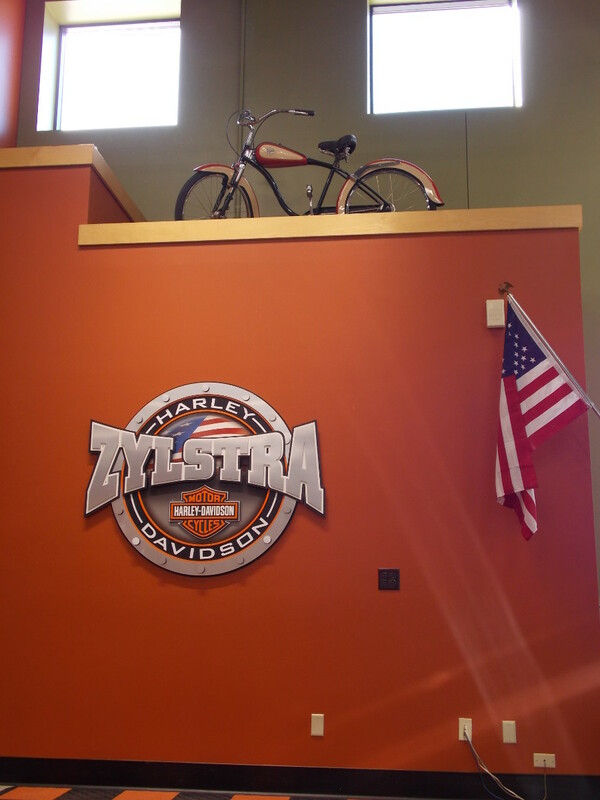 In Maple Grove or Hudson WI. Forest Lake or Eden Prairie give A.M. Painting a call or click the button to request more information and have our professional staff help you today. Schedule a call Now; start renewing tomorrow. 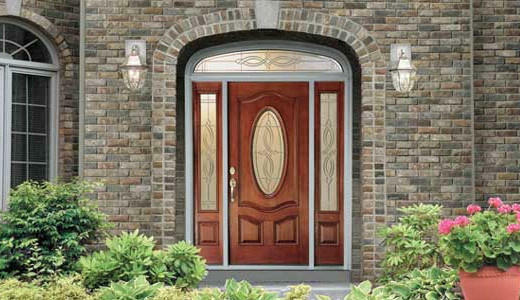 A.M. Painting’s expert staff has the delicate touch that’s needed for your new wood or fiberglass doors, windows and patio doors. We can match most custom stains and paint any color. Get it pre-finished for a hassle-free experience! Our company can also finish all your woodwork prior to installation whether it’s stain and varnish or enameled*. A.M. Painting also finishes exterior substrates such as siding and trim. *ask your representative about the “final finishing option”. Click the button and have our representatives call you. Popcorn texture issues? Hole in the wall? How about remodeling, or a new construction project? Drywall installation and finishing IS an ART. A.M. Painting is well versed in the drywall industry. Whether you have unwanted nail holes or a bathtub over-flowed that caused damage to your ceiling and walls. Fixing dings, scraping popcorn ceilings and creating a beautiful “knockdown” texture. From 1 sheet to 100’s of sheets of drywall can be installed and finished. Any project, large or small, A.M. Painting can do it! Whether you want to change your home's ambiance or want to update your space from the last decade, interior painting can be a daunting task. If you simply need a color consultation or also need a contractor to perform the labor, let A.M. Painting help you. We are happy to give free consultations to all of our clients. When you choose our experienced staff to do the work, A.M. Painting’s diligent pros will make certain that all necessary preparations are completed before any painting begins. Daily clean-up is ALWAYS observed. 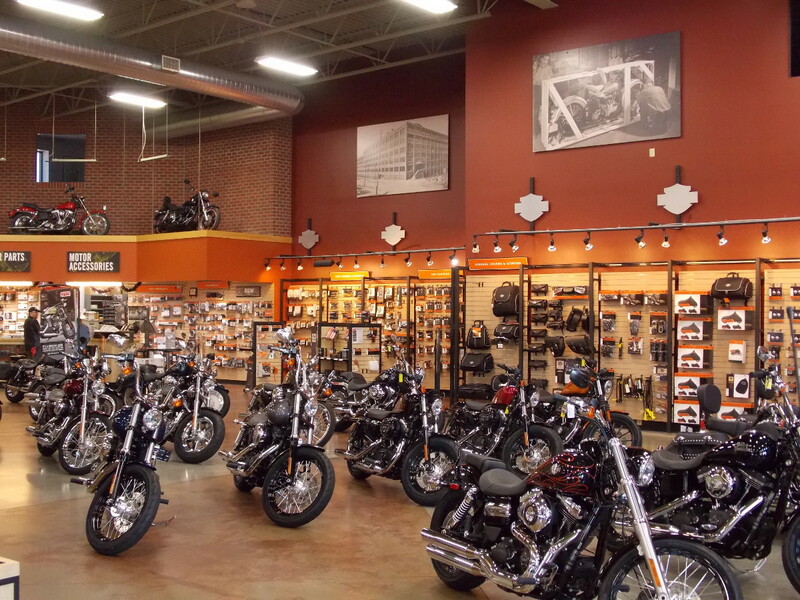 At the completion of your project, one of our staff will walk you through the work performed to ensure satisfaction. Strict clean-up is always observed daily. Upon completion a representative of A.M. Painting will walk through with you to make certain that the job was completed correctly. A.M. Painting is a lead certified company and will ALWAYS practice "lead safe" practices when needed. Painting and staining the exterior of your home is not just for aesthetic purposes, but is also a vital part of preserving the exterior of your home from premature damage due to the elements. When paint begins to chip and peel off of your exterior, or when stained surfaces become sun-beaten and flaky, the surface becomes susceptible to moisture and sun damage. It is vital to utilize our professional exterior painting services to have your exterior surfaces protected from these damaging elements. We provide whole house exterior painting and staining services designed to protect and beautify your home. 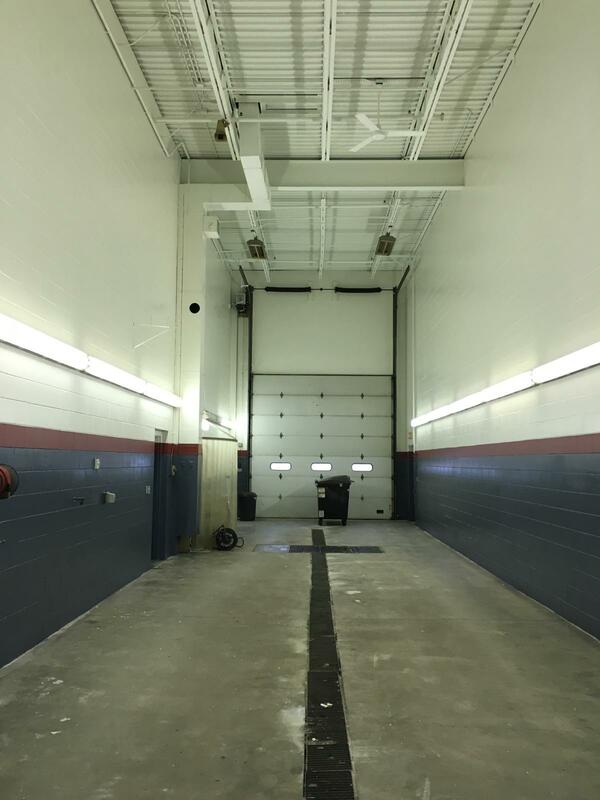 Painting & Drywall Services in the Maple Grove & Princeton, MN areas! What makes a house a home? Is it the furnishings, is it the pots and pans, is it the carpeting? Or is a home a state of mind? AM Painting was started with the belief that all homes can be beautiful. A large home can feel cozy with the right color, and a small home can be spacious. AM Painting has been creating lasting custom atmospheres to reflect each of our clients’ personal styles since 1993. 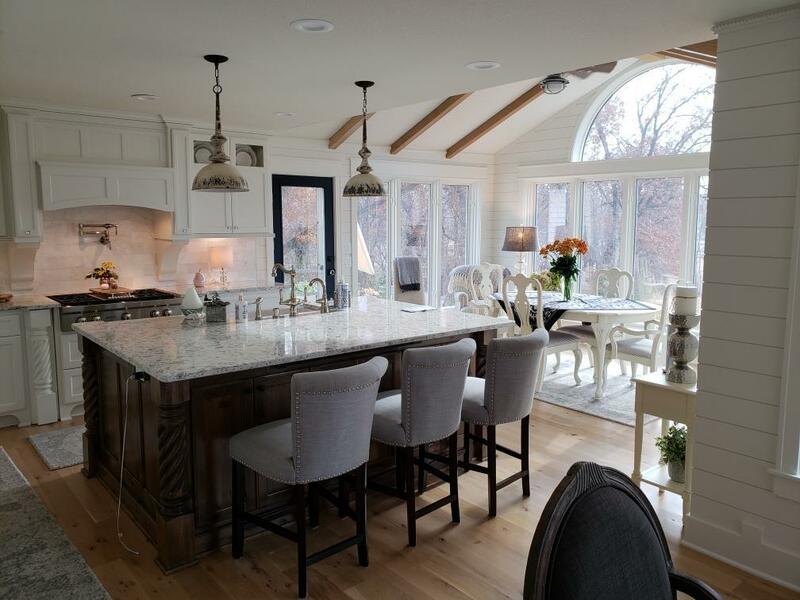 Founded and operated by Mike Sandin, A.M. Painting stands out as one of the premier paint firms in the Twin Cities: small enough to give clients outstanding personal service and large enough to produce some of Minnesota’s most bold homes. The power of color and the skill of phenomenal teamwork makes even the largest project come to completion like a finely tuned symphony. We offer affordable services to meet our client’s needs in all areas of interior design, new home construction and remodel design. With our design expertise the most daunting projects become simple. A.M. Painting realizes that timing is crucial. We understand that when deadlines are set they are to be met. We have the staff and the communication that helps make that happen. A.M. Painting is concerned with your needs. We schedule work around you. We meet your deadlines and we take pride in the fact that there are no surprises in our costs. Thank you for taking the time to learn more about our company. 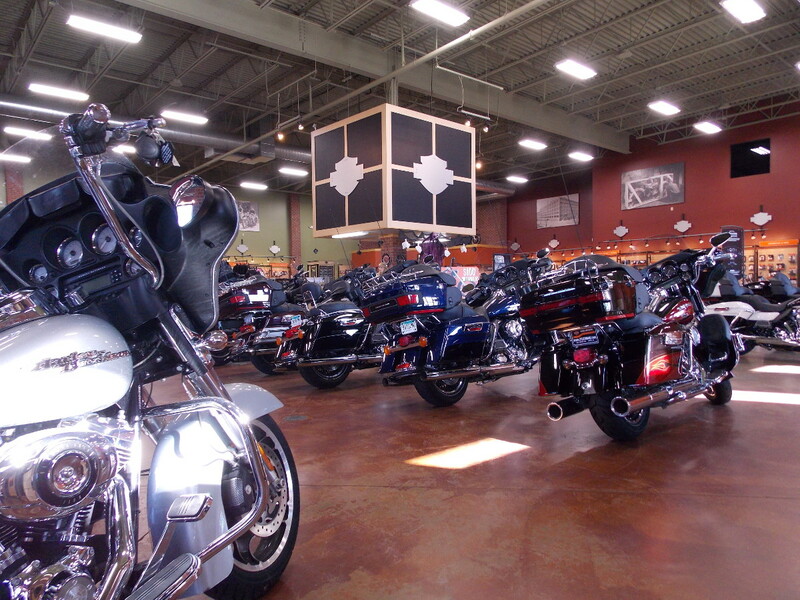 We are confident that we can meet your needs. Call us now for your free consultation and let us show you that quality is not expensive, it priceless. 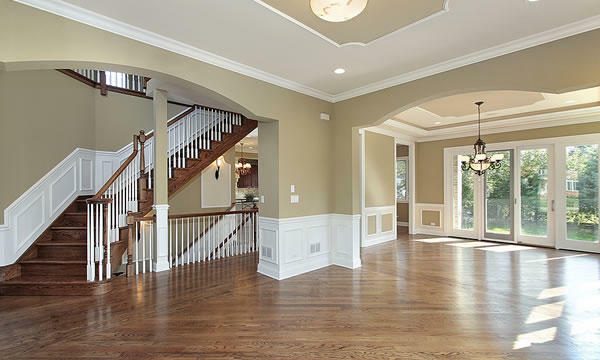 Let AM Painting help you with your interior painting project in Maple Grove or Princeton, MN. We are happy to offer a color consultation & a painter. 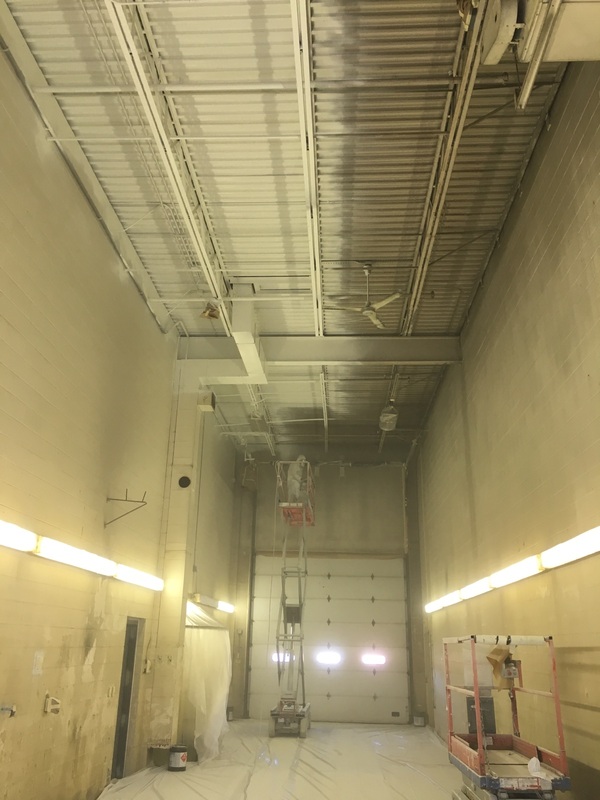 AM Painting understands that to achieve a great exterior paint job you must start with preparation & expert cleaning of the space in Maple Grove, MN. A.M. Painting is well versed in the drywall industry. 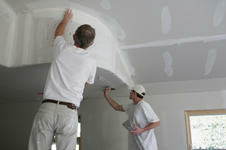 We can repair drywall damage & scrape popcorn ceilings in Maple Grove & Princeton, MN. 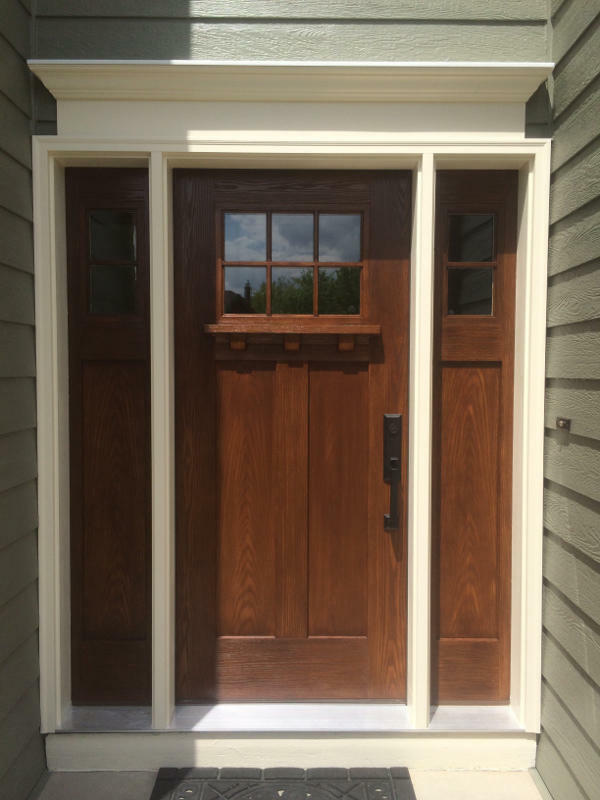 A.M. Painting’s expert staff has the delicate touch that’s needed for your new wood or fiberglass doors, windows and patio doors in Maple Grove, MN. 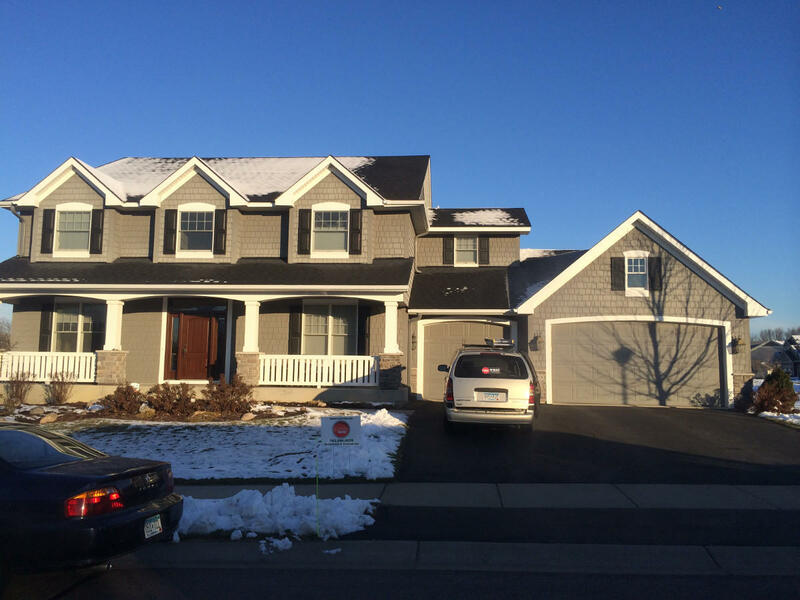 At AM Painting, we offer legacy contracting services to the residents of Maple Grove & Princeton, MN. 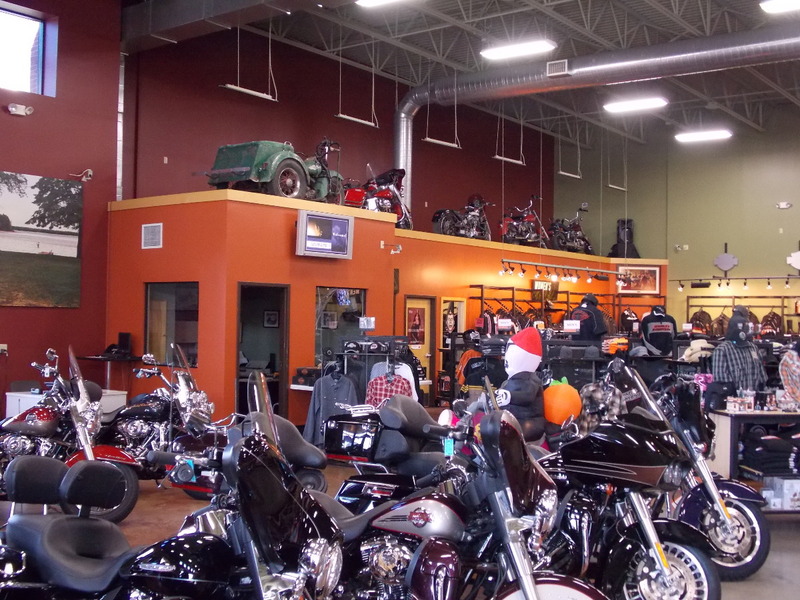 Contact us today to discuss your needs! A.M. Painting is proud to offer one of the best options for you. A silicone roof coating system provides several benefits that bear consideration.